On November 9th and 10th, the I Can Dream Theatre company presented their eighth musical dramedy. 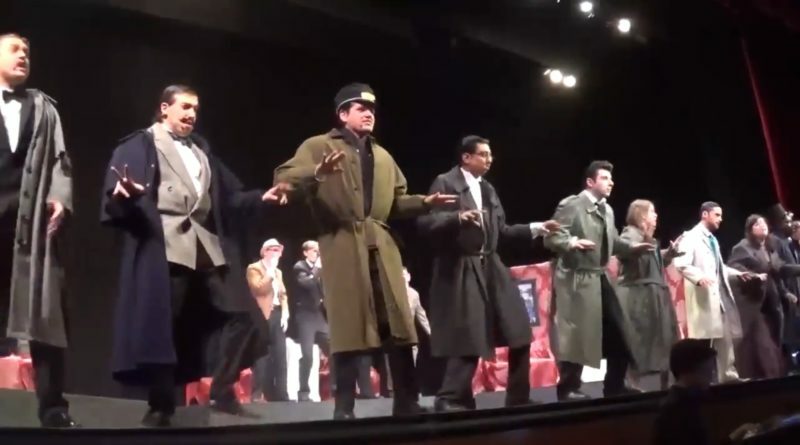 This year, they created a parody of the popular book Murder on the Orient Express, written by Agatha Christie. The musical mystery is yet another unique addition to their lineup, which also includes past plays such as “Back to Grease” (a mashup of the popular films “Back to the Future” and “Grease”) and “The Tale of Macbeth(ish)”. I Can Dream Theatre distinguishes itself from other production companies because it offers the opportunity for adults with special needs to perform on stage. Whether they want to dance, sing, act or make people laugh, the company allows these gifted individuals to accomplish their dreams. As always, the musical numbers are where I Can Dream shines. Featuring songs by Dolly Parton, Phil Collins and other classic artists, the cast’s singing was moving as usual. However, my favorite moment overall was definitely seeing the cast slow dance on stage with a parent to the tune of “Don’t Dream It’s Over”, covered by Fareed Gul. Their emotions propagated through the auditorium, and it was an extremely heartfelt moment to witness as an audience member. One of the dramedy’s funniest sketch was the “Who’s on First” bit between Mitchell Newman and Alexis Gerin-Lajoie. Based on the uproarious laughter from the crowd, I was definitely not the only one to think so. Gabriel Fadda was extremely funny as always, this time acting as the exuberant owner of the Orient Express, Signor Bianchi. Furthermore, the sassy exchanges between Count Rudolph Andrenyi (played by Andrew Perez,) and Greta Ohlsson (portrayed by Nadia Marcone) were also worth a few chuckles. I was disappointed to see that Philip Peris’ charming aura wasn’t showcased as much as in past shows, but I can definitely understand that the directors likely wanted to showcase the talents of different performers for this new piece. My only gripe with the show was the inconvenient stage setup. The lack of height for the set made it difficult to see all of the performers. For example, during some of the musical numbers, I had difficulty seeing the performers in the back because they were located directly behind those placed closer to the audience. Still, this is a relatively small detail in an overall fantastically well done show! I Can Dream Theatre has yet to announce the theme of their next show, but if we can rely on trends of past years, we should be finding out around January. I’m definitely looking forward to experience the next ICDT creation!